In 2017, IntraHealth International reached 400,101 health workers. They provided health care to millions of people around the world. Our vision is that everyone everywhere has the health care they need to thrive. IntraHealth’s organizational strategy maximizes the impact and value of our work to reduce mortality and morbidity in the individuals, families, and communities in greatest need around the world. Partnership: We listen to and partner with diverse constituencies to codesign and implement locally relevant and sustainable results. Innovation: We pioneer catalytic solutions, tools, and technologies to address persistent and emerging health challenges. Learning: We learn from our experiences and adapt accordingly to elevate our organization’s performance, value, and impact. Accountability: We set ambitious goals and take ownership to deliver on commitments we undertake individually and collectively. To ensure the highest level of honesty and integrity in our work, IntraHealth embraces and adheres to the ten ethical standards outlined in this Code. 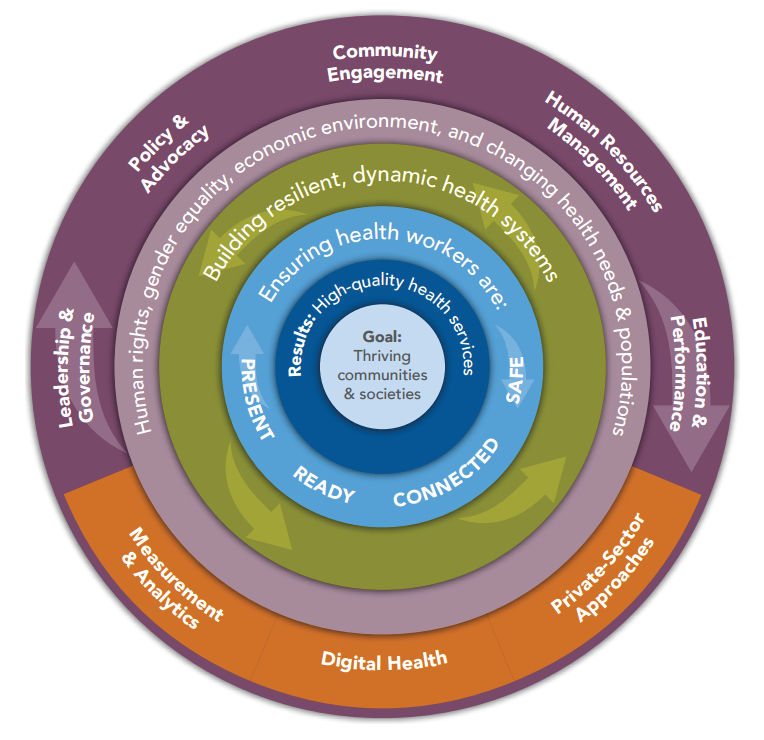 Our impact model articulates how our work contributes to improved reach, coverage, and use of high-quality health care services.